The Stranded actor admits he is proud to be part of a unique kind of love story. In his first romantic movie project Stranded, Arjo Atayde admitted he is happy to be Jessy Mendiola’s new leading man in an unorthodox kind of love story. “I’m very, very thankful so thankful din na sa unang pagkakataon I’m coming out in a different kind of genre naman. This is a love story-ish. It’s a different genre pero kaibigan ko si Jessy, so it was really easy working with her and direk Ice (Adanan) also. Sobrang kakaiba ito. This is a new step for me to show people if I can make them fall in love this time,” he said. Arjo shared that it was part of his wish list in showbiz to do a project like this. “I’ve been wanting to do a rom-com. I’ve been wanting to do a love story na pelikula or serye but I wasn’t given a chance. Finally I was given a chance by Regal Films. I’ve really been waiting for this. If ever I come out in a romantic film, gusto ko kakaiba yung kuwento na hindi pa nakukuwento sa Philippine cinema and finally here it is. It’s coming out on April 10 and I promise you hindi pa ito napapanuod ng mga Pilipino,” he remarked. 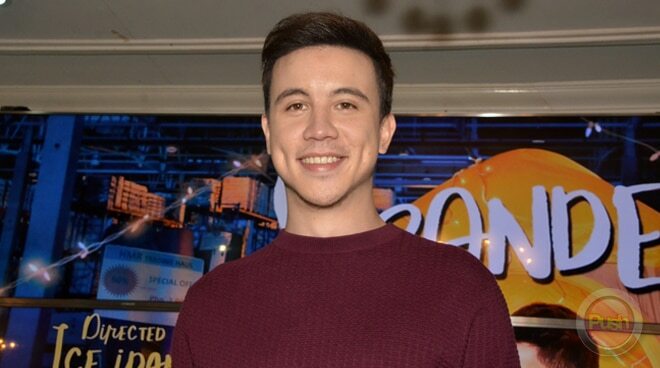 With his role as the happy-go-lucky Spencer in Stranded, Arjo said he can relate to his character in many ways. “Siguro ang similarity yung pagiging spontaneous rin niya. Hindi ako masyado nagpaplano eh. Mas gusto ko yung kung ano trip niyo that day with friends, with family, with loved ones. Kung ano trip niya that day, yun gagawin niya eh. Siguro yung pagiging makalat kasi hindi naman ako araw araw na katulad ni Jessy. Ako’y may kalat moments din bilang lalake so pag medyo makalat na yung kuwarto ko,” he stated.